Dr Simon Malthouse qualified from St Thomas’ Hospital Medical School in London and obtained Membership of the Royal College of Physicians prior to undertaking Radiology training at Guy’s Hospital. He undertook a specialist year as a Radiology Fellow at Royal Prince Alfred Hospital, Sydney before his appointment as a Consultant at the Royal United Hospital, Bath in 2001. His major clinical interests are in oncological, genitourinary and chest radiology. 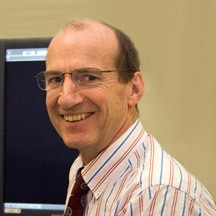 He has particular expertise in Ultrasound and Image-guided biopsy and drainage techniques. Simon has been Clinical Lead for the Radiology department of the Royal United Hospital and is the Radiology Lead for Urology and Gynaecology Multi disciplinary meetings. Simon is a keen teacher, regularly teaching Specialist Registrars on the Severn Radiology Training scheme and Bristol University Medical Students.